Residential rental property refers to real estate units that are designed for family living, and they include family houses, duplexes, triplexes and townhouses among others. Why invest in a residential property and then start struggling with the accounts, rent collection, and maintenance? You can simply hire a residential management company and let them do their work. It will cost you some money, but it is worth every penny you will pay, especially if you have several rental properties that require management. Here are some top qualities of an ideal residential or commercial property management services company that will help you find the best one. A binding relationship between a real estate management company and the owner is reliant on how they communicate. A great home management company should communicate any arising matters to the investor in a timely fashion and keep them updated on all issues about the property. Since these managers deal with many people, including the owners, maintenance firms, and tenants at the same time, they should ensure all these people are on the same page. 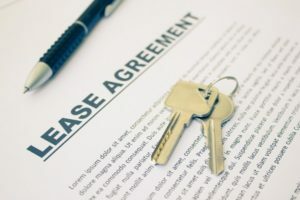 It is common for disputes to arise between these parties and the property manager should help professionally resolve them. Investors who own residential properties put a lot of trust in these management companies. Residential management companies are tasked with the collection of rents and deposits, and they should always uphold the interests of the investors. These managers agree to uphold their duties and execute their jobs with the utmost level of integrity. Managers with records of fraudulent activities and unethical actions should be avoided at all costs since the amount of money involved in real estate is quite a lot to entrust it to a dishonest manager. In real estate, managers are expected to live up to their word at all times. This is a quality that distinguishes a competent manager and one who is sleeping on their job. The need for keeping all the involved parties on the same page has been emphasized above, and a property manager should always be proactive in getting issues and disputes solved as quickly as possible. Always determine the ability of your Burbank residential and commercial management company to follow up on and resolve issues before hiring them. The future of your real estate portfolio will depend upon the knowledge and expertise of your rental management company. With residential property in the burbank area, things break from time to time and a great management company should have competent maintenance partners at the ready. Such partners help speed things up and avoid cases of repair issues piling up over time. These partnerships give owners a peace of mind since they are assured that all maintenance issues are prudently handled within the appropriate time frame. A happy tenant is a good tenant! Most residential or commercial property owners may not know that numerous laws must be adhered to when owning and managing real estate units. These rules govern the renting process and the financial actions surrounding the rents, securities, and repairs among others. A reliable property management company in Burbank should understand all these statutes and not leave you with the struggle of trying to understand them. They should be in position to advise you on the best course of action to take when matters relating to your real estate property arise. The discussed qualities are fundamental when trying to find the best residential or commercial property management services company in Burbank. 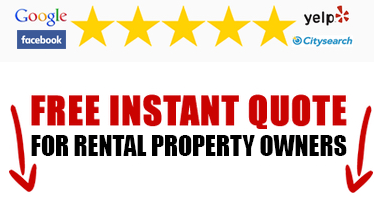 Pay attention to these sought after qualities in a manager and when you choose our firm, you’ll be sure you’ve chosen the best and most reliable property management company in Burbank.